An appeal court in Mauritania has upheld the death sentence of a blogger convicted of apostasy, but referred his case to the Supreme Court. 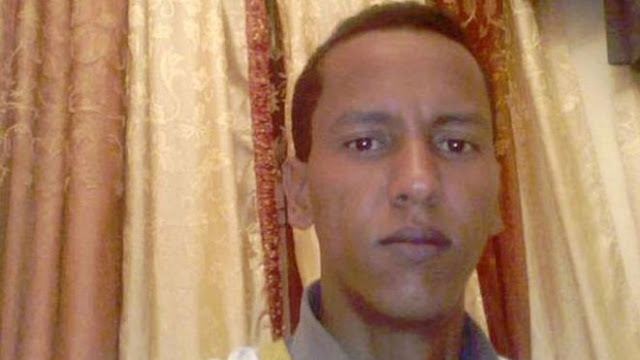 Mohamed Cheikh Ould Mohamed M'khaitir was arrested in January 2014 for an article criticising those who use religion as a means of discrimination. M'khaitir has apologised and said he never meant to insult the Muslim Prophet Muhammad. The Supreme Court can pardon him if it feels his repentance is sincere. The original announcement of his death sentence was met with public celebrations, the AFP news agency reports. Mauritania last applied the death penalty in 1987. The blogger, who is in his early thirties, had posted an article on the Aqlame newspaper's website in December 2013 that was later taken down as it was deemed blasphemous towards the Prophet Muhammad. It reportedly criticised Mauritania's caste system, a sensitive subject in a country with deep social and racial divisions, and criticised those who used religion to marginalise certain groups. Apostasy, which means the abandonment of one's religious faith, is considered a criminal offence in many Muslim countries. The Committee to Protect Journalists (CPJ) says the appeal court hearing on Thursday was held under tight security - and it condemned the ruling. "This mockery of a judicial process, which could end someone's life for writing an article, should be consigned to the history books," the international press freedom group's Sherif Mansour said in a statement. Under Mauritanian law, if the Supreme Court rules that a defendant is repentant, it can reduce the sentence to up to two years in jail and up to about $173 (£120), the CPJ reports. Last year, Mauritania introduced a tough new anti-slavery law which makes the offence a "crime against humanity". The country had abolished slavery in 1981, but activists said it was still widely practised and many in the West African country inherit their slave status.